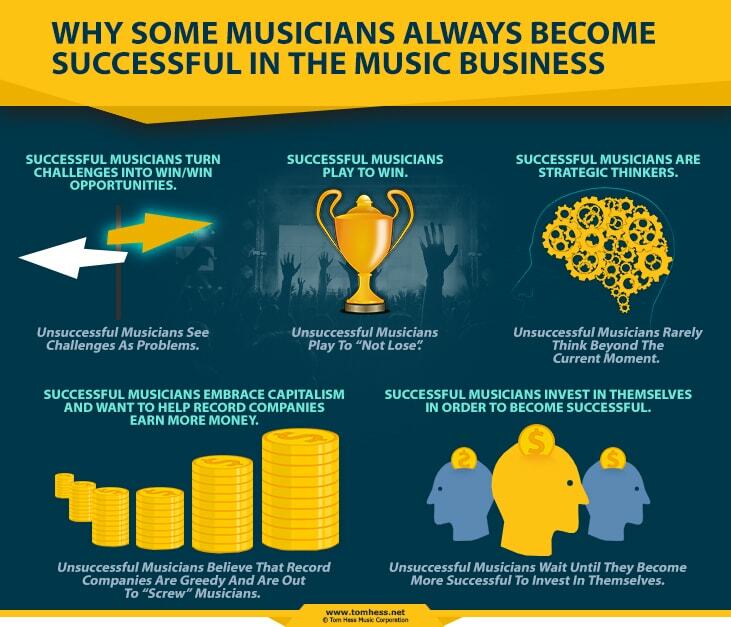 Want to become more successful in your music career? Stop always thinking in terms of tactics and learn to think strategically. Music career tactics are individual steps you take in the music industry. Playing a gig, releasing a record, building a website are examples of tactics. There are lots of possible tactics to choose from at any given point in your music career. Tactics give you short-term results. Music career strategy consists of specific steps (tactics) organized to lead to a specific long-term goal. There is only one right step to take at any given moment that moves you towards your strategic goal. Always know what to do next to move towards your long-term goal. Avoid wasting time, money and energy on irrelevant actions (tactics) that are distractions for your music career. Reach your goals in the fastest and easiest way possible. Tip: plan your strategy by thinking backwards. Start with your big long-term goal in mind and work your way backwards. This makes your actions congruent with your goal and keeps you focused on what matters. Note: The tactics inside your music career strategy are very important. Execute each tactic with a high degree of excellence. But the strategy itself is the starting point of your music career success. This article explains common music career mistakes to avoid when building your music career strategy.